We are among the major players in the market offering top-notch Butterfly Valve and that too at marginal prices. We source the raw material from the leading vendors and manufacturers in the market; thus, we are capable of fulfilling the exact requirements of the clients with our offered products. 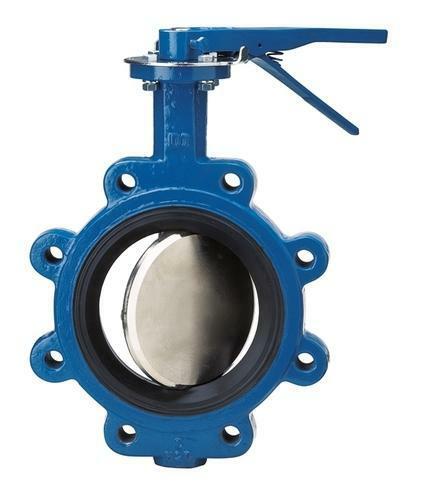 Features: Temperature Range 34oC to 150oC No part in contact with fluid except disc and liner Self lubricated bushes Neck flange according to ISO:5211 Direct Actuator mountable design Design reference IS:13095 & BS:5155 Neck height to accommodate insulation Lugs on body make them suitable for using at the end of line Suitable for actuator & gear mountings 100% leak tight design Available in lever type and clutch type handles Each valve is factory tested to 110 percent of specified pressure rating. Extended neck allows adequate clearance for flanges and insulation. Round, polished disc and hub edge provides 360 degree concentric seating, minimum flow restriction, lower torques and longer seat life. Cast-in top mounting plate is an integral part of the body which is standardized to allow direct mounting of all kind of actuators.